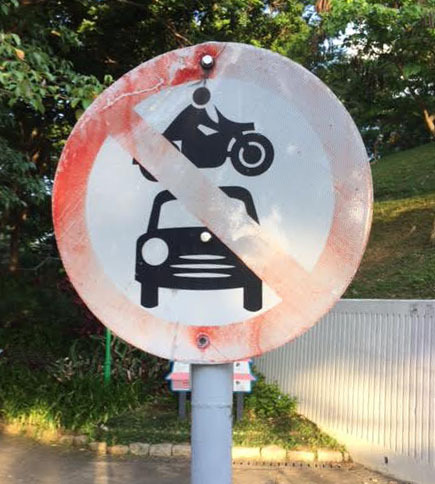 "Do not jump cars with your motorcycle"? Update. I put this on facebook and a friend wrote "Do not attempt Mad Max stunts"